Rc No. 25/Estt.III/2015 Dt:03/09/2015 Rationalization and Transfers Latest Guidelines issued by the Smt.K Sandhya Rani Commissioner of School Education, Andhra Pradesh. 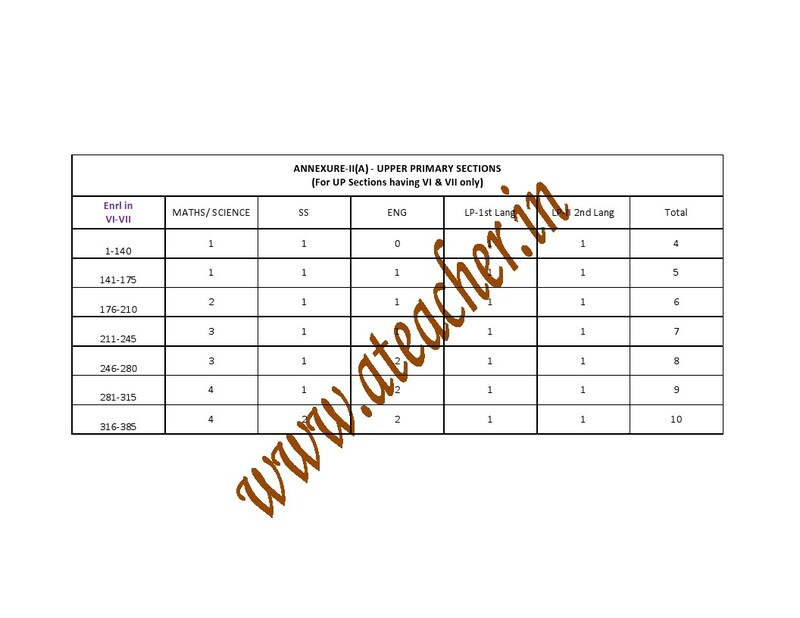 The Proceedings Rc No.25 is issued based on AP Teachers Regulation of Transfers 2015 GO 63 and GO.66. All the RJDs and DEOs in of concerned districts follow the transfers/ regulation instructions as follows. The complete Rc No.25/Estt.III/2015 Dt:03/09/2015 as follows. Rationalization schools in respect of Model Primary School should follow norms as per Go Ms No.39 Dt:07/08/2015, GO Ms No.51 Dt:07/08/2015. Primary Schools with over 80 enrolment are not identified as Model Primary Schools. G.O.Ms.No.55, Edn., dated 23.04.2011 should be followed the norms prescribed for all the Primary Schools. Rationalization exercise for Upper Primary and High Schools shall not be taken up during this year. Adhar Data enrolment of students should be considered for the purpose of Rationalization and arrival of vacancies. The requirement of teachers as per teacher pupil ratio in UPS / Upgraded Upper Primary Schools with VIII and High Schools shall be provided on work adjustment basis after completion of the transfer counselling.